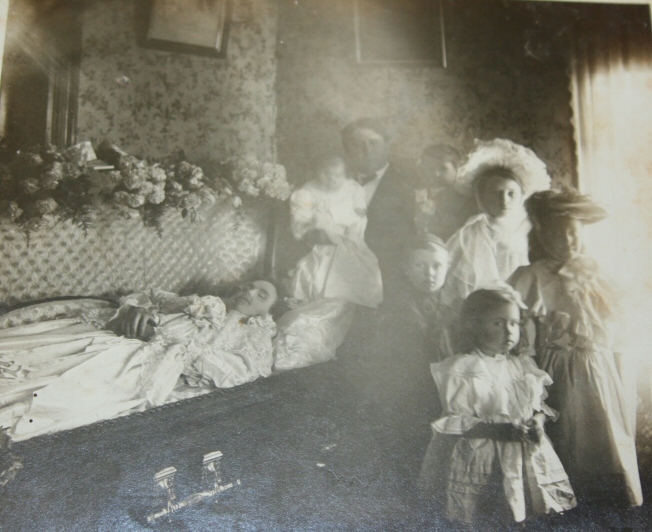 A funeral picture found in the trunk of Temple Abernathy. This must have been the funeral of his mother. All the children and father, Jack, are pictured.